Getting into this industry isn’t easy. Getting into the hyper-saturated realtime strategy genre with a game series that actually breaks new ground is impossible. Or is it? 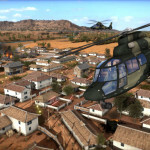 Longbow Games quietly came onto the scene with their Hegemony series and earned both critical acclaim and commercial success. 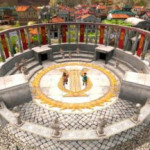 Their Hegemony Gold: Wars of Ancient Greece is even nominated for a Game of the Year Award for its unique flavor and engaging gameplay. Longbow might just be poised to join the ranks of the elite developers who really changed the industry. We sparred with Lead Programmer Rob McConnell to try and glean some of their secrets. GiN: Can you tell us a little bit about your current project and how you came to be working on it? McConnell: We’re currently working on Hegemony Rome: The Rise of Caesar which is the latest release in our Hegemony series of historical wargames. The game lets players take on the role of Julius Caesar as he leads his legions to conquer the barbarian tribes of Gaul. After researching a lot of potential settings, we were really drawn to the Gallic Wars because it represented a relatively unknown period of this otherwise famous figure and, thanks to Caesar’s own extensive writings on the war, we had a lot of material to draw from to create the campaigns. The Gallic Wars were also a perfect fit for where we wanted to take the gameplay in Hegemony. The Romans were some of the best engineers of the ancient world and this provided a perfect opportunity to add some new construction options to game such as the archetypal Roman camp or Caesar’s ingenious bridges over the Rhine. GiN: What is it about your newest game that you think players will especially get a kick out of experiencing? 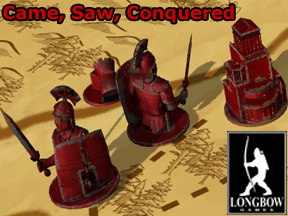 McConnell: The extensive visual upgrades we’ve done to the game really brings the ancient world of Caesar to life, and I think players will get a thrill out of commanding the famous Roman legions through the towering Alps and into the dark forests of Germania as they expand the frontiers of the Roman Republic. The new map has 10x the detail of the original game, which allows players to see immersive new details like the garrison defending from atop their city walls or the peasants working in the fields. Players will also discover in their explorations a lot of recognizable landmarks like the white cliffs of Dover or the countless neolithic ruins like Stone Henge that dot the landscape. Fans of history might also learn a few new things about a part of Caesar’s life that doesn’t get a lot of attention. The Gallic Wars marked a real turning point in Caesar’s career, where brilliant strategy, personal tragedy and some significant gambles changed his course from being just a notable politician to becoming dictator and de facto emperor of Rome. GiN: Not everyone gets into this sometimes crazy business. Were there any games or people who influenced you to want to become a developer? McConnell: I kind of stumbled into the game industry. I’ve always been a gamer and pretty much from the beginning I was interested in making my own. I got started programming with a book from school full of BASIC programs you could copy line by line to make clones of games like Centipede and Breakout. After that I taught myself QuickBasic, TurboPascal and eventually C++ so I could make my own versions of some of my favorite games like Dungeon Master and the Sierra quest games. Despite spending a lot of my free time making games, for some reason I never thought of it as a potential career. In my last year of an engineering degree I decided on a whim to submit an unfinished adventure game I was working on to the student IGF. I was fortunate to be selected as one of the finalists and headed out to the GDC in San Jose. While there, I met Jim McNally whose family game company, Longbow Digital Arts, was a sponsor of the IGF and had just recently moved their company to Toronto. Still in school, I hadn’t really started to look for work yet, but Jim offered me an opportunity to make games full time and I jumped on it. Two months later I started at Longbow and have been there almost ten years. 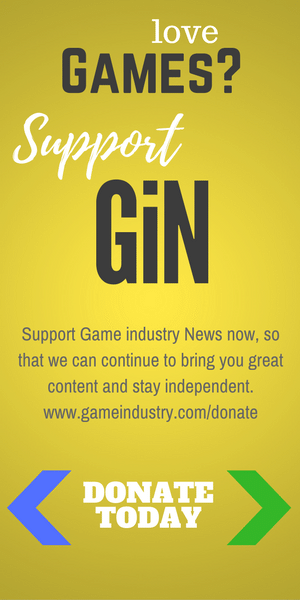 GiN: Looking at the game industry today from your position as a game developer, what do you feel are the biggest challenges? McConnell: Talking as an indie developer specifically, our biggest challenge is usually just getting the word out about our games. These days we often get questions about how the slow economy is impacting small developers, and usually my response is that getting a featured sale on one of the main portals or scoring a review by a prominent game site tends to have a far bigger impact on us. Unfortunately, this reliance on big industry players in order to get attention tends to result in sporadic sales spikes that can make it difficult to fund a stable small company. So, we’re always seeking ways to communicate directly with our audience through tools like Facebook, Twitter, or YouTube. This of course poses it’s own challenges, as we’re now competing with the 24/7 barrage of new media that fights for a consumer’s attention, but overall the tools to succeed in this industry have never been more accessible and this provides lots of opportunities for indie developers and we embrace the challenge of creating something people will really enjoy. 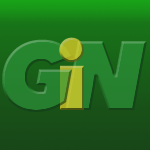 GiN: What’s the next big thing or trend in games and gaming? Any predictions? McConnell: I tend to be focused pretty closely on our own little corner of the industry so I’m probably not the best one to be making predictions on wider trends; however, if I had to pick one I’d say it might be the continued rise of shorter or mid-sized games. With online portals and app stores driving down the prices that players expect to pay for games, I suspect it’s getting increasingly hard for those new $50-60 PC titles to compete, and one way of addressing the situation is for developers to make smaller games and sell them for less to begin with. This is obviously going to be difficult for the big AAA publishers who have a lot of overhead, but it’s a great opportunity for small agile developers and probably good news for consumers who increasingly don’t have time to complete all the games they buy and should benefit from a wider selection of titles.